Gender differences are an important distinction in risks and diseases. In disaster situations, women and men are affected differently with regard to risk, risk perception, preparedness, response, physical impact, psychological impact, recovery and reconstruction. Understanding how and when gender-based differences may affect project impact, communications and policy. Without the participation of women and men in community consultation and decision-making processes, the needs of communities and the specific needs of men and women will not be met. Due to social norms as well as biological factors, women and children-particularly girls- may face increased risk to adverse health effects and violence. However, men and boys are also shown to suffer from violence and cannot be ignored. They may be unable to access assistance safely and/or to make their needs known. Gender based violence encompasses many forms including physical, mental and economic violence. All members of communities are at risk for this violence especially in conflict and disaster settings. OSC, based on its research understands that there are special needs for survivors of SGBV and strives to better understand the nuances around this issue. 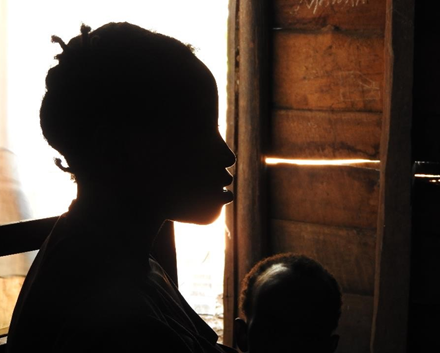 In 2016, OSC partnered with IMA World Health to complete a baseline evaluation for the USAID Ushindi: Overcoming SGBV in Eastern Congo project. Read More. Dr Lynn Lawry, OSC’s Senior Director of Research and Evaluation is our gender expert with dozens of evidence based evaluations published in peer reviewed journals that assess the needs and gaps of gender issues in conflict, post conflict, and disasters. She has served on many international working groups to create gendered surveys and serves as an expert at the International Criminal Court particularly for cases that involve crimes against humanity. Anastario M, Larrance R, Lawry L. Using Mental Health Indicators to Identify Post-Disaster Gender Based Violence Among Women Displaced by Hurricane Katrina. J Women’s Health. 2008; 17(9):1437-44. Anastario M, Shehab N, Lawry L. Increased Gender-Based Violence Among Women Internally Displaced in Mississippi Two Years Post Hurricane Katrina. Disaster Med Public Health Prep. 2009; 3:18-26. Reis CR, Lawry L. Gender-Based Violence. In the International Federation of the Red Cross (IFRC) Public Health Guide for Emergencies, 2nd Edition. Lawry L, Johnson K, Asher J. Evidence-Based Documentation of Gender-Based Violence. In: Stephan Parmentier, Jeremy Sarkin and Elmar Weitekamp (Eds), New Series on Transitional Justice, Prosecuting Sexual Violence as an International Crime: Interdisciplinary Approaches. Antwerp, Belgium: Intersentia Publishers 2013. Anastario M, Shehab N, Lawry L. Responding to Gender-Based Violence in Disasters. DMPHP 2009; 3(3):138-9. Amowitz LL, Reis C, Hare-Lyons K, Vann B, Mansaray B, Akinsulure-Smith A, Taylor L, Iacopino V. A Letter from Sierra Leone: Prevalence of War-Related Sexual Violence and Other Human Rights Abuses Among Internally Displaced Persons in Sierra Leone. JAMA 2002; 287 (4): 513-21. Reis C, Amowitz LL, Hare-Lyons K, Iacopino V. The Prevalence of Sexual Violence and Other Human Rights Abuses Among Internally Displaced Persons in Sierra Leone: A Population-based Assessment, Physicians for Human Rights, Boston, MA, January 2002. Johnson K, Asher-Resnick J, Rosborough S, Raja A, Panjabi R, Beadling C, Lawry L. Association of Combatant Status and Sexual Violence with Health and Mental Health Outcomes in Post-Conflict Liberia. JAMA. 2008 Aug 13;300(6):676-90. Amowitz LL, Kim G, Reis C, Asher J, Iacopino V. Human Rights Abuses and Concerns About Women’s Health and Human Rights in Southern Iraq. JAMA 2004; 291(12): 1471-79. Johnson K, Scott J, Rughita B, Asher J, Kisielewski M. Ong R, Lawry L. Association of Sexual Violence and Human Rights Violations with Physical and Mental Health in Territories of the Democratic Republic of Congo. JAMA. 2010. 304(5):553-562.